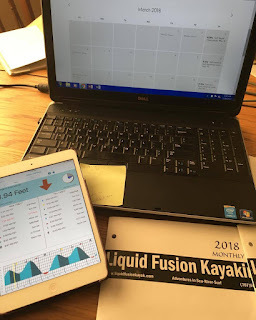 Writing and compiling the photos for Liquid Fusion Kayaking's monthly newsletter is a labor of love. It is more of the "invisible work" that goes into running a kayaking business. This month's newsletter introduces LFK's 2018 Mendocino Kayak Adventures and Classes. If you do not receive LFK's monthly newsletter, here is a link to sign up for it. Creating LFK's calendar is a lot of work but it is fun too. The fun part is dreaming up fun adventures. When we include a class or adventure, it has to meet several criteria. The number one criteria is - "Is it fun and something that we would want to do?" The challenges of our calendar include balancing and scheduling sea kayak, whitewater kayak, and surf kayak classes and adventures, and recreational tours. There are very few companies like Liquid Fusion Kayaking who teach sea kayaking, whitewater river kayaking, and surf kayaking and also run recreational tours. Let alone a 2 man/woman show operating in a rural area. So what do Jeff and I have in store for Liquid Fusion Kayaking in 2018? 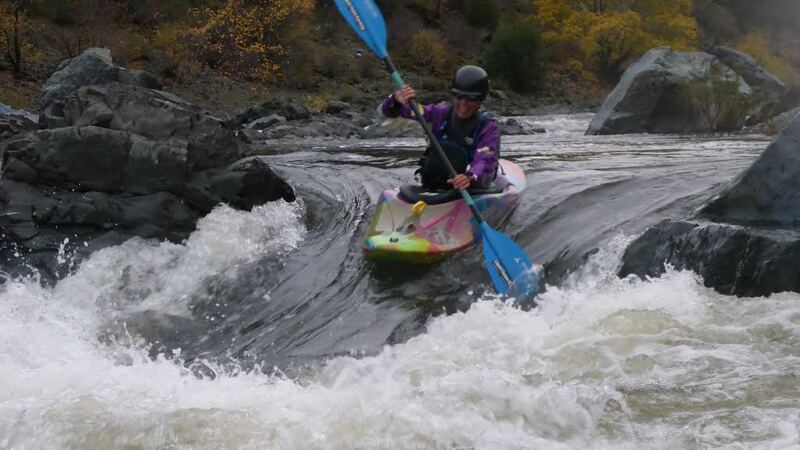 Grab your 2018 calendar and check out LFK's November News - 2018 Kayak Adventures. We are both excited about all of our classes and adventures but of course have our favorites. One new class that I am excited about teaching is Art of Sea Kayaking 101. This class is a 2 day learn to sea kayak class on the beautiful Mendocino Coast. 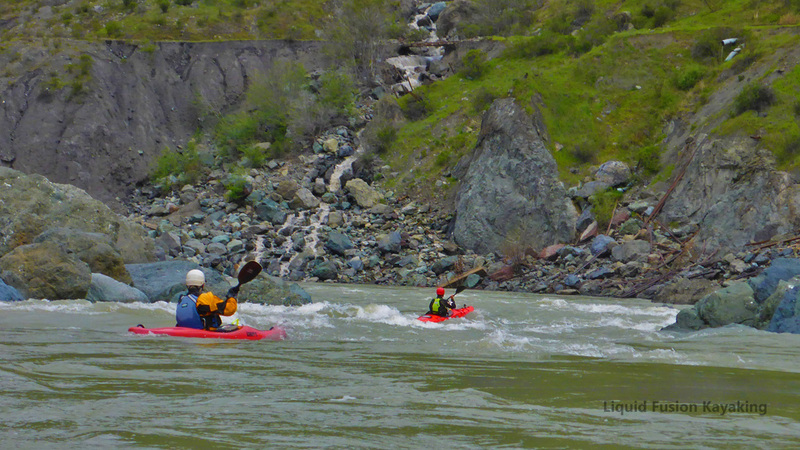 On day one, beginner through intermediate kayakers will build a foundation of basic skills. Then on day two, we will take those skills out into the ocean. Sea Kayaking out of Noyo Harbor into the Pacific Ocean. 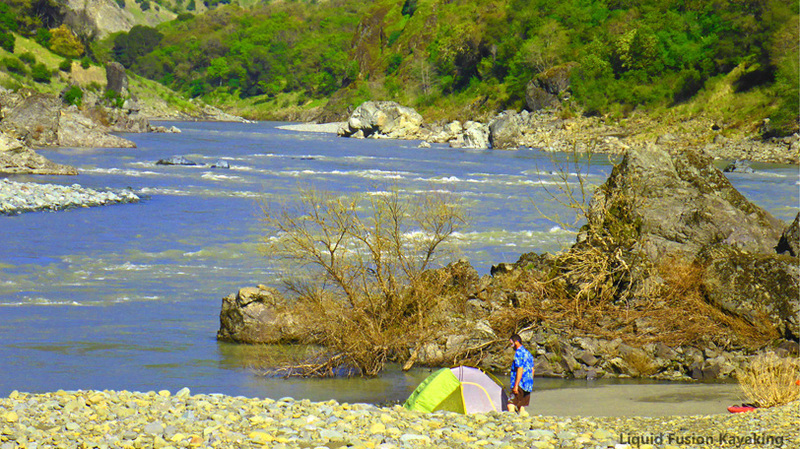 I also am looking forward to our spring whitewater classes and whitewater camping trips on the Eel River. If you haven't paddled the Eel in the spring, get out your calendar and schedule some time to come paddle it with us. Whitewater kayaking on the Dos Rios to Alderpoint Wilderness Section of the Eel River. Whitewater kayak camping trip on the Eel River. FUN, FUN, FUN - 2018 - Here we come!! !